Following Justice Department Inspector General Michael Horowitz's exposure of former FBI Director James Comey's mishandling of the Hillary Clinton email case, investigative journalist John Solomon has shed light on Comey's meddling in the DOJ's negotiations with Julian Assange ahead of a massive disclosure of CIA cyber malpractice. In a single shot, former FBI Director James Comey had put the Central Intelligence Agency (CIA) under fire and killed an opportunity to find out who had hacked the Democratic National Committee's (DNC) email server during the 2016 presidential race, writes award-winning investigative journalist John Solomon. In his op-ed for The Hill, Solomon described how US Justice Department (DOJ) officials negotiated an "immunity deal" with WikiLeaks' founder Julian Assange ahead of the famous "Vault 7" release. 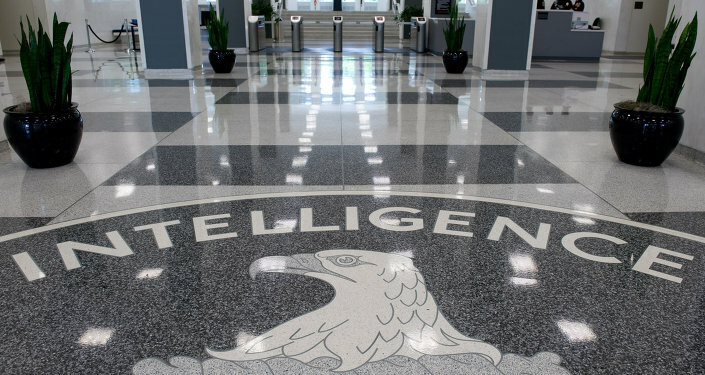 The leak exposed the CIA's global hacking techniques, which "damaged [the agency's] cyber warfare capabilities for a long time to come," as the investigative journalist remarked, citing US officials. On February 4, 2017, WikiLeaks started releasing cryptic questions about its forthcoming dump code-named Vault 7, attracting a lot of attention from social media users across the world. However, the story actually began in January 2017 when Assange's lawyers approached American attorney Adam Waldman, a former Clinton Justice Department official, offering a deal. The parties negotiated "limited immunity" for Julian Assange who has been virtually locked in the Ecuadorian embassy in London since June 2012. The deal was "subject to adequate and binding protections, including but not limited to an acceptable immunity and safe passage agreement," as Waldman wrote in his email to David Laufman, then head of the DOJ's counterintelligence and export controls section on March 28, 2017, following WikiLeaks' March 7 publication of the first part of the CIA-related classified documents. In exchange, Assange agreed to consider certain redactions in the classified documents he was about to release. However, he declined to compromise his sources, or stop publishing information, according to Solomon. Furthermore, the WikiLeaks founder dropped a hint that he could provide technical evidence shedding light on "who did not engage" in the DNC data breach in 2016. "The US government believes those emails were hacked by Russia; Assange insists they did not come from Moscow," the investigative journalist highlighted. NSA cyber chief was ordered to stand down against "Russian hacking". DOJ was in talks with Assange for an immunity deal for DNC/Podesta hacking info and Comey shut it down. Why did the Obama administration fear the Truth? However, James Comey's sudden intervention spelled the end of the potential deal: The FBI chief had signaled to Waldman that he had to "stand down" and "end the discussions with Assange" without further explanation. According to Solomon, although Comey's controversial instructions had not immediately killed the deal, they sowed deep distrust in Assange's legal team. The second release of CIA documents unmasking the agency's specific cyber tools by WikiLeaks on April 7, 2017, triggered a storm of criticism from the US government that backed out of the negotiations, the investigative journalist stressed. On June 25, 2018, WikiLeaks tweeted that the organization "can confirm the accuracy of the Hill report on Comey, however, it should be noted that 'immunity/safe passage' was limited to covering the talks." We can confirm the accuracy of the Hill report on Comey, however, it should be noted that 'immunity/safe passage' was limited to covering the talks. — WikiLeaks (@wikileaks) 26 июня 2018 г. ​On April 25, 2017, Julian Assange published an op-ed in The Washington Post in response to then CIA Director Mike Pompeo, who slammed WikiLeaks, dubbing it a "hostile intelligence service." The WikiLeaks founder referred to Pompeo and Donald Trump's double standard approach, recalling that earlier the two hailed the DNC email server leak, which apparently played into the hands of the Republican Party. "Vault 7 has begun publishing evidence of remarkable CIA incompetence and other shortcomings," Assange wrote. "This includes the agency's creation, at a cost of billions of taxpayer dollars, of an entire arsenal of cyber viruses and hacking programs — over which it promptly lost control and then tried to cover up the loss." ​The damage was done and the rest is history; however, the question as to why James Comey intervened and what his genuine motivation was still remains unanswered.